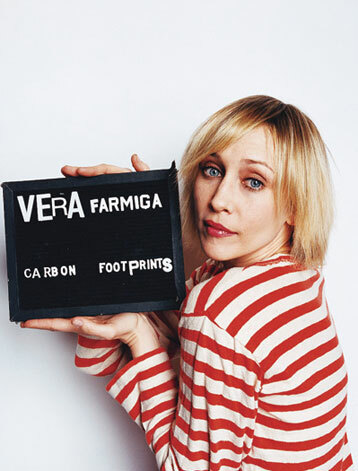 See the gallery for quotes by Vera Farmiga. You can to use those 5 images of quotes as a desktop wallpapers. I love to be surprised. I think maybe I was a shepherdess in a past life. I'm just someone who marvels at God. I've never graced the cover of a fashion magazine. It's true: I don't remember what life was like before parenthood. Much more quotes by Vera Farmiga below the page. Normally, I rely heavily on my director to massage me out of my actor comfort zones. We take a lot for granted as second wave feminists, what our mothers and aunts did for us. When I look at female characters, I want to recognize myself in them: my trials, my tribulations as a mother, as a lover, as a daughter. Whether you're making a million dollar film or a $100 million film there is never enough money, there's never enough time. You don't necessarily have to be religious to pray. You ought to have a perspective when you're making a film. I feel my fuller-bodied characters are all in the independent films I do, and in the studio productions, I have to work harder to dimensionalize the characters. And that's certainly part of the job description of an actor - that's what you're supposed to do - but you have to work harder at it in the characters that I've encountered in studio films. I hate being manipulated by song. Don't tell me what I should be feeling. I don't want cellos or violins to be telling me that I should be bawling right now. I think I always try to be accommodating and open and available and proving for my director. I love to give as many takes as they want. I love to give them as many choices as they want. I'm saying that the depth of exploration of the male psyche and the female psyche is uneven. I see further, deeper renderings of what it means to be a man. I've never felt the breath of God - you can take that statement literally or metaphorically - more than when I was yearning for a personal, intimate connection to something bigger than me. My only real advice to Oscar nominees is, 'If you haven't actually seen a competitor's film, don't fib and say you have and blow smoke up their wahooziewhatsits.' Always best to be frank and tell them the truth. Ruminants are a perfectly normal thing to possess when you live in upstate New York. It's just moving scenery. It's kind of like the equivalent of Great Danes. It's the way you keep your grass mowed. It's the way you keep your weed-whacking to a minimum. The limelight is a tricky place, because you can't believe what's going on around you. You stop observing. You stop perceiving. You stop extending yourself, and you become isolated. There are some times when I think acting can be a noble profession. And when those rare roles come along, like 'Down to the Bone,' you have the opportunity to be of service. We're all sick of holy wars and bloodshed because religion is supposed to give us life and a better life and is supposed to bring out our best self. When it results in mass destruction and hatred and anxiety, it's the antithesis I think of what religion was designed to do. Working with children is a whole other ball game. They're like little animals. You have to keep the camera turned on them all the time. Sometimes it takes a 41-minute take to get one sentence out in a believable way. I've always believed that if you are precise in your thoughts, it's not the lines you say that are important - it's what exists between the lines. What I'm compelled by most is that transparency of thought, what is left unspoken. As an actor, you're sort of the court-appointed lawyer for the character. I am drawn to intimate, often uncomfortable portraits of a woman persevering and awakening. I chase after inspiring stories. I didn't grow up watching film but as a Ukrainian-American, music and stories and dance are crucial. I don't necessarily need Hollywood. I just can't feel lukewarm about a character. I either despise her, admire her, or don't understand her and want to understand her. The ultimate aim of the human mind, in all its efforts, is to become acquainted with Truth.